Middlebury, Ind. 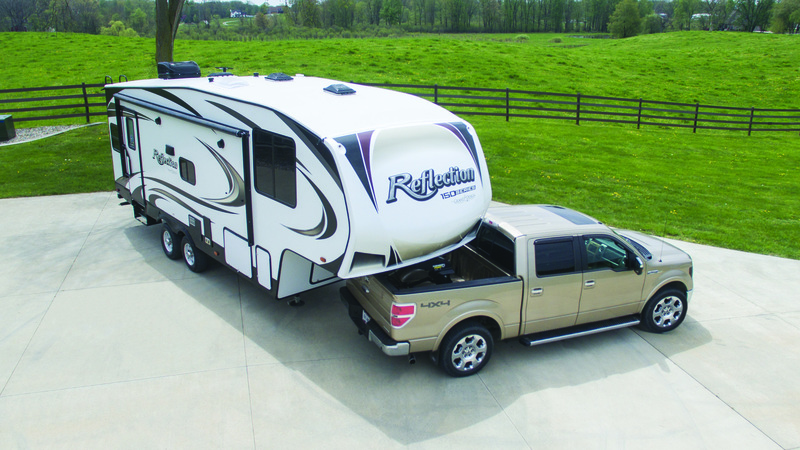 based towable manufacturer Grand Design RV Co. has taken direct aim at the massive half-ton towable market with the debut of its Reflection 150-Series line of fifth-wheels. With floorplans ranging from 26 to 34 feet and dry weights starting at less than 7,000 pounds, the 150-Series, with a base MSRP of $39,327, is well within the capacities of many half-ton trucks, noted Grand Design officials.